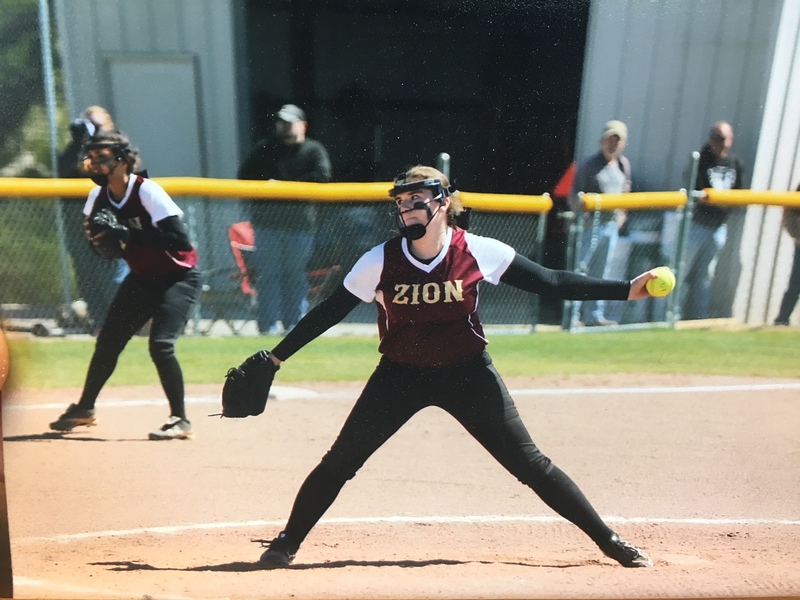 When Lilly was in sixth grade her middle school softball coach, Beth Holmes, asked “Have you ever thought about pitching?” It seemed like such harmless question at the time. Little did we know it would change the entire trajectory of her sports career. Lilly had NOT thought about pitching. 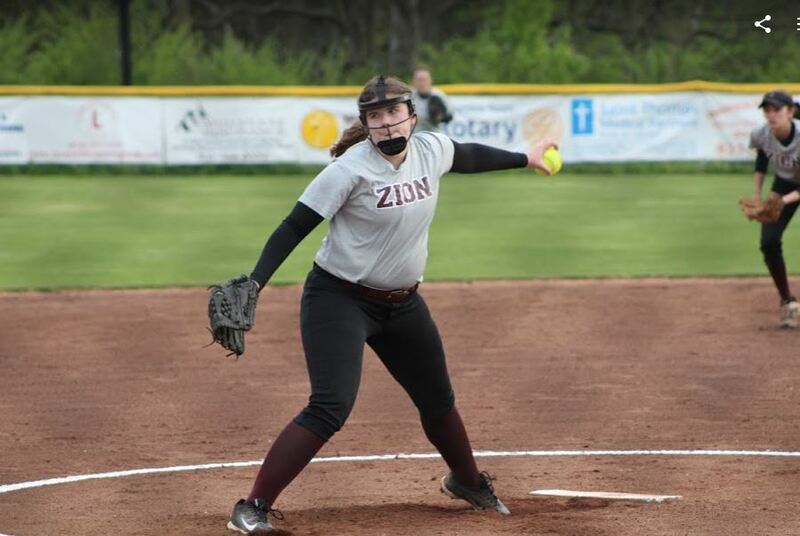 She had played softball since she was 4 years old but pitching was never on the radar screen. Coach Holmes said “You have such a good demeanor for it. I think you ought to give it a try.” So she did. She found a level place in the yard, I found a bucket, and we started throwing together. Someone suggested the name of a coach in Franklin and we made an appointment. Neither us of knew the first thing about softball pitching and it turned out the learning curve would be much steeper than we thought. Lilly couldn’t get the arm motion down or the release point or the footwork or any of the other mechanics. It was a struggle. We threw for two years straight with little progress, eventually dropping the lessons because something just wasn’t clicking. Lilly entered her 8th grade year able to throw a strike but not with much consistency. Her practice schedule was random, we didn’t have a coach, and I was still clueless. We ended up bouncing around between several coaches (or friends) who each changed something about her throwing motion. The whole thing was very frustrating and confusing for her. I take the blame here because I didn’t realize the value of consistent coaching and consistent practice. As a result, her 8th grade year was terrible. There’s no nice way to say it. She pitched in a few games, but she walked way more batters than she struck out. One game in particular I remember her walking 8 batters in a row before the coach mercifully pulled her out. That year I was introduced the glorious agony of being a pitching Dad. There are few things harder than watching your little girl struggle in the circle knowing there is nothing you can do but hope for a gracious umpire with a forgiving zone. When the season was over we had a decision to make. Should she continue? Was it worth it ? Did she still want to be a pitcher? We decided to give it one more year. If it didn’t click after that we’d quit. We committed to an off-season practice schedule and someone recommended a new coach named Jill Slaughter. Jill broke everything down and started completely over with her. Changed her arm motion, release, spin, step. Everything. She was patient and kind and encouraging. Lilly loved her. She started to believe she could do it. Improvements came slowly but they came. She got better. She got more consistent. She got more confident. So she did. We started pitching with her every Sunday at 7:30 AM. Lilly would pack a bag and get ready in a bathroom at the church. She practiced a minimum of two times a week in the off-season and 4-5 days a week during the season. She pitched in our back yard, at the field, in the gym, in school hallways, tobacco barns, equipment sheds, anywhere she could find a place to throw. And she kept improving. By the beginning of her 9th grade year she was noticeably better. She started in one game that year against our weakest opponent and threw a few innings in relief (when the game was out of reach), but she was not discouraged. She kept throwing. Kept working. Kept grinding. The following off-season it started to click with her. She started to get the feel for it. There were visible improvements in speed, power and consistency. Yet, she still knew she would not be the starter next year or probably the year after that. There was another really good pitcher just one year ahead of her. She thought if she kept working she might get a chance at playing her Senior year. Midway through the season her sophomore year we played a 4-game tourney. Coach Fox asked if Lilly might be able to throw the first game so Kinley could get a break. 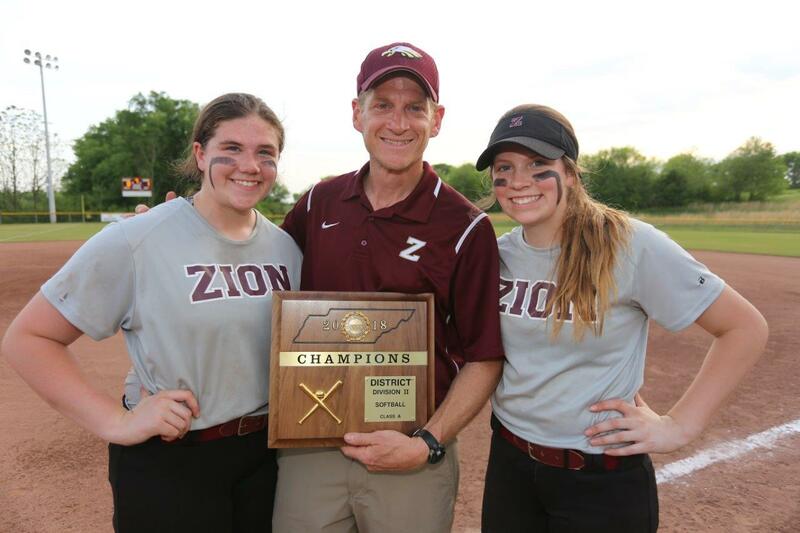 She did well enough that Coach Fox came to me in between games and asked “You think she could throw the second?” That night he texted me “Hey, you think Lilly could throw again tomorrow?” She pitched both of those games too. 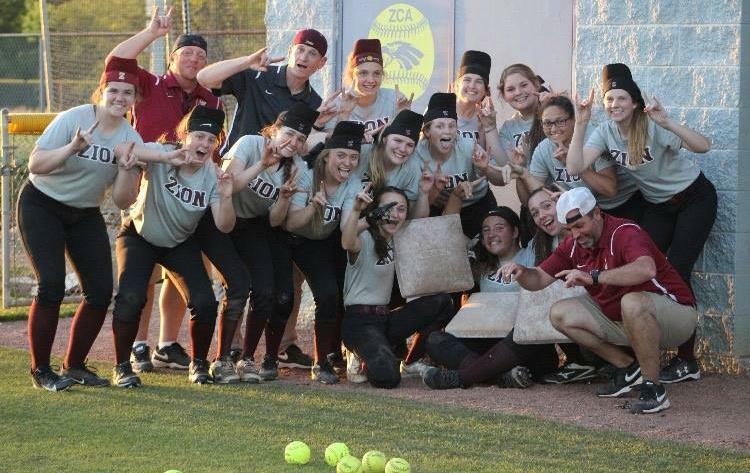 It worked out perfect for the team because Kinley was a great athlete and a strong fielder so we were able to move her to third base which made our defense better. I don’t remember if we won or lost those games. I just remember that Lilly threw four complete games and pitched good enough to give her team a chance. She started every game from that point forward. Would end her pitching career starting 52 games for Zion and winning 32 of them. Her senior year she went 18-6 in the circle and helped her team win the school’s first district championship. She received all-district honors and was named to the all-tournament team. Not bad for a kid who couldn’t find the strike zone just a few years earlier. She never was a shut-down pitcher and was rarely the fastest pitcher on the field, but she could hit the corners and mixed in enough off-speed and drops to keep hitters off balance. Her goal was never strike outs. Coach Fox preached, “just roll me a ground ball Lilly.” Foul tips, pop-ups and ground balls were just as good as strikeouts and Lilly forced a lot of batters into those situations. In four years, she moved from a little girl unsure of her abilities to a confident young woman who calmly lead her team in high-pressure situations. I paced the dugout when bases were loaded and the game was on the line. Lilly just calmly stepped to the plate and pitched her way out of it. The last game of her career was a struggle. First round of Regionals and we faced a good team. She had an off-night throwing. It happens to the best of pitchers. The defense struggled too and the ump behind the plate was all over the place. It was not the way she or I wanted it to end and it hurt. With only one out remaining Coach Fox pulled her out so the crowd could honor her. When she stepped out of that circle for the last time and jogged over to the dug-out I nearly lost it. She won’t play college ball so that was it for her. Pitching was over. What an incredible career, but it was over. The questions surfaced later that night. Was it worth it? All those years on the bucket? All those Sunday AM practice sessions? All those dollars on lessons? All those tears and sweat? Was it worth it? Heck yeah and here’s why! 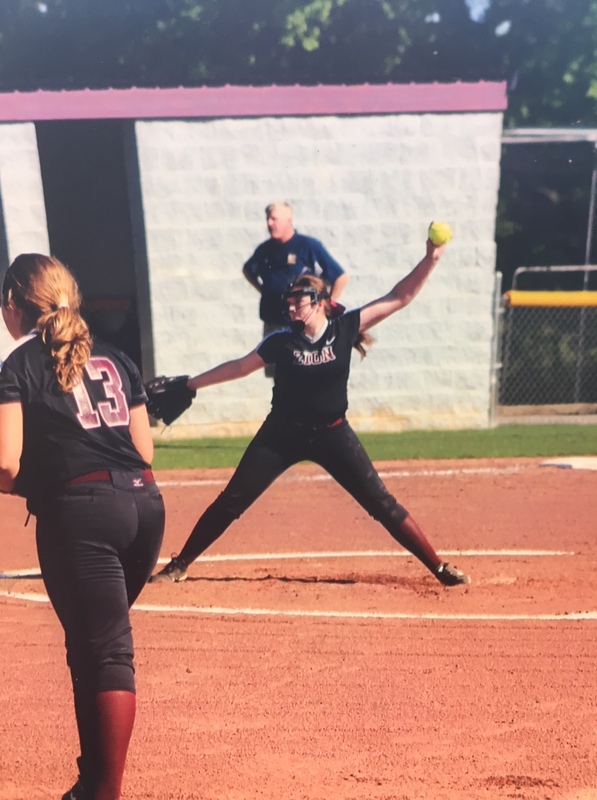 Pitching taught my daughter that nothing in life comes easy. You have to work at it. You have to practice. You have to be disciplined. You have to preserve. You have to learn how to lose and bounce back from setbacks. You have to learn how to deal with unfair officiating or taunts from your opponents. You have to learn to trust your teammates and lean on them for help. You have to learn to respect your coach and take criticism as instruction. You have to learn how to respond to all the doubters. You have to learn to believe in yourself and your abilities. You have to learn how to win with class and how to lose with even more. All of that Lilly learned from softball. She couldn’t have gotten those lessons from a book or in the classroom. Those are lessons are learned on the field. They are lessons she’ll take with her the rest of her life. I am confident that Lilly will be successful in whatever she decides to do because she knows what it takes. Her time in the circle taught her that. There’s one more reason it was worth it. The last five years I got to spend invaluable time with my daughter. We celebrated wins, cried over losses, got on each other’s nerves during lessons, cut-up together at practice, and generally had a great time together. We shared a common experience. Pitching was our thing and I wouldn’t trade it for anything. All those months on the bucket. All those times in the dirt. I wouldn’t give it up. It was time spent with my daughter and I hope she remembers it the rest of her life. Honestly, I think it’s one of the reasons my youngest daughter decided to pick up pitching as well. Yes, she wants to compete and win, but she also wants to spend time with her Dad so I’ve got another three years on the bucket and I’ll savor every minute.